One of the things I like about living in Istria is the quality of life. ‘Quality of life’ can mean many different things but what I mean here is basic things like the quality of the air, water and food. I guess after living many years in India, I’ve learned to appreciate these simple but essential things. Living in a rural environment, there is no air pollution here, the tap water does not have to be purified to be drunk (and it doesn’t have a bad taste! ), and it’s easy to get good, natural produce. Local people do not like to buy store-bought vegetables and try to grow as much of their own food as possible. Nor do they spray their produce with any type of pesticide but try to grow it chemical-free. They don’t even use the word ‘organic’ or ‘bio’ because they grow their food the same way they’ve been growing it for decades before those ‘modern’ words existed. Locals simply say “I don’t spray”, to mean that they don’t use chemical pesticides. 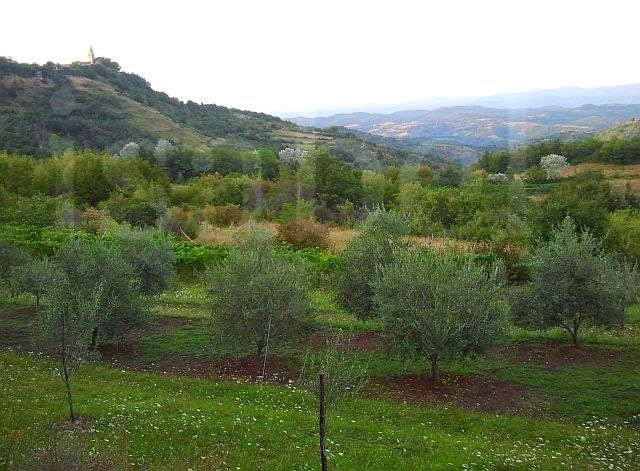 Many people here have olive groves and cultivate olives for their own olive oil production. Istrian olive oil is an absolute delight – pure heaven in a bottle! There are many different varieties of olives grown here, each of which produces an oil with its own subtle flavours. So far I’ve had the opportunity to taste the Leccino, Črnica and Bjelica varieties. Though I can distinguish the slight differences between them, I have a very hard time deciding which one is the best! What’s particular about Istrian olive oil is that it has a pleasant, slightly fruity taste. I don’t think I can ever have store-bought olive oil ever again! This winter we bought 15 litres of Leccino from a family who produces their own oil while my father bought 15 litres of Črnica (which has a ‘stronger’ taste than Leccino). We fill a bottle of each at a time so that we always have two varieties on hand. Then my uncle in Izola, in the Slovenian part of Istria, also gave us a few litres of his own olive oil, which is just as heavenly (but I don’t know what variety it is!). So we have three different types of pure Istrian extra virgin olive oil in our kitchen and alternate between them, depending on which taste we feel like having! 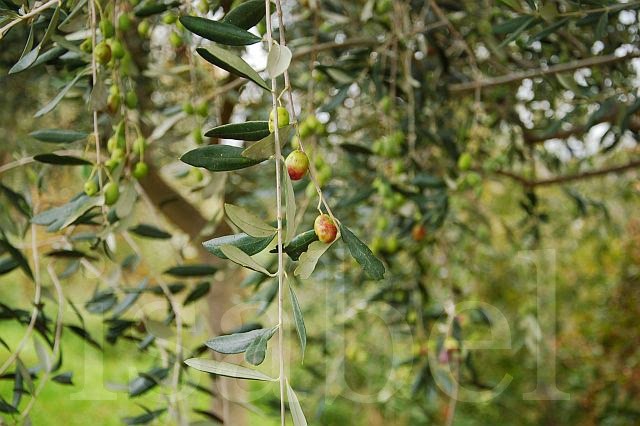 The olive harvest in Istria happens usually in October or November, depending on weather conditions. Like grape harvesting, olive picking is usually a big family affair, where friends join in too, since the olives are picked by hand. Once they’re picked they must be taken to the local oil mill within 24 hours. Freshly pressed olive oil has a beautiful greenish colour and not the golden yellow colour that store-bought olive oil has. The taste is divine. For a charming description of an olive harvest by an Istrian family, read 'The olive harvest season in Istria has begun' on a gourmet food blog called 'Manjada'. It’s produced by small family producers who make olive oil for their own consumption and then sell any excess oil to their friends and neighbours. It’s extracted by mechanical and not chemical means. It is not refined or industrially treated and is unadulterated, i.e. not mixed with other different types of lower grade oils (which is the case of store-bought oils). Since it’s cold-pressed only once, it has a high concentration of polyphenols, which are considered to be antioxidants and beneficial for health and longevity. It’s expensive! The olive oil you can buy from family producers costs two times more than store-bought extra virgin olive oil – but it is worth every single kuna because of all the above reasons. Have you tried Istrian olive oil? Which variety is your favourite? I LOVE olive oil! I haven't tried Istrian before, but would love to. It's so wonderful that they do everything naturally. Is there any special way they use it besides cooking? I bet it would be awesome as a dipping sauce. I hope to be able to try it one day. Thanks for sharing! Beautiful post about the place we call home.... We use olive oil everywhere and all the time (except for french fries). We also buy it from a local producer from Tar, but it is not a single sort olive oil like Leccino that you buy. I love that they live their life pure unlike the rest of much of the world where the norm is pesticides and the such. I can see why so many people are moving there to live! A quality pure life. I'd love to try that olive oil...I bet it's heavenly! @Frank - aren't they all equally delicious? @Ashley & @Samantha - The only place to try it is in Istria - I hope you get the chance sometime! 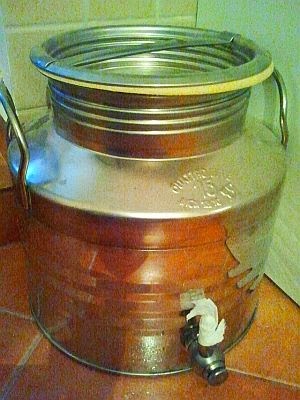 15 litres... ohhh man I do hope we get close to that once our olives are ready. Cheers for linking up with is to #SundayTraveler! May you next olive harvest be abundant! love olive oil, on salad, for cooking, for pizza, for grill, anything!!! It may be hard to find outside Croatia, but the upmarket olive oil shop 'Olivier and Co' was stocking olive oil from Istria at one point. Wow! I want to live in Istria too! Istrian olive oil looks gorgeous and your description makes me want to taste some right away! Hope you can come for a visit sometime Ranjana and I'll feed you olive oil! Yay! I'm definitely coming, at some point! Great idea - make sure you keep some free space in your luggage! True Mihaeru, there are some very good olive oils available here. I had no clue about the laser trick! How to get a green laser?? Do you participate in collecting olives? Is this popular in Graščice-region? I was told this activity is like collecting the grapes in the continental part (a.k.a. "berba") - you invite a bunch of people for the weekend and together you work and have fun. Yes, there are olive groves around here but I didn't participate in the harvest last year - maybe this year. Yes, olive harvesting is like grape-picking: people get together to work and have fun too!